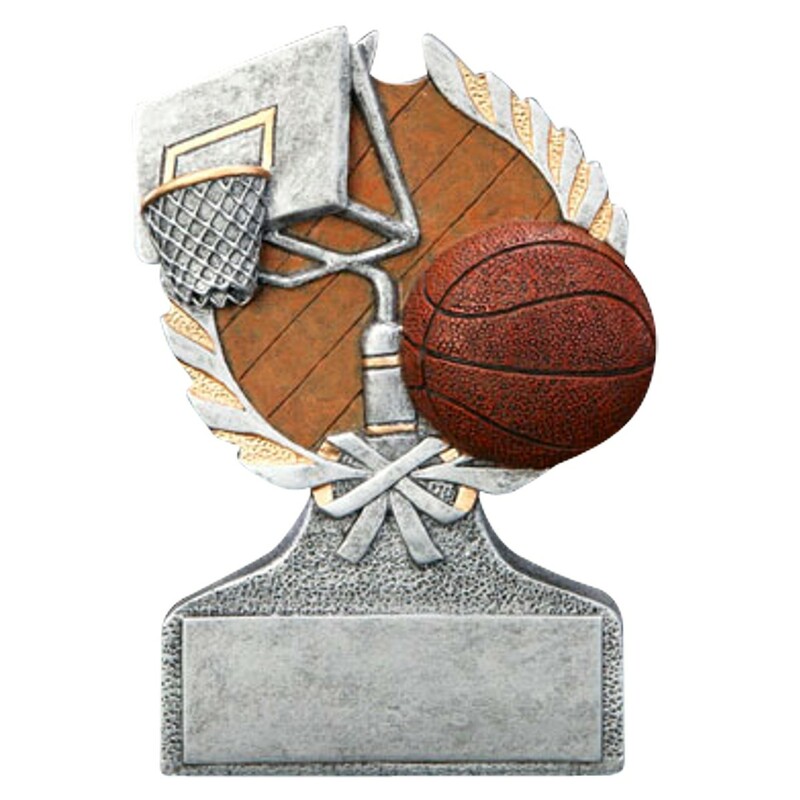 These artful awards feature a basketball and backboard with a brass plate and your custom engraving near the bottom. The perfect choice if you are looking for an award that will stand out! Made of resin, these awards have the look of pewter with gold accents. Add class to your trophy room with our Ball and Hoop Basketball Awards!